Garrett Smee represents clients in the areas of employment litigation, tort litigation and appeals. 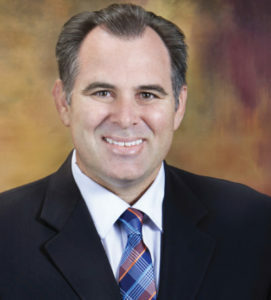 Prior to joining Daley & Heft, Mr. Smee represented clients in diverse arenas, including real estate litigation, personal injury and insurance defense, general counsel for school districts throughout California, and representing employees in cases involving race, gender, disability, retaliation and hostile work environment. Mr. Smee’s experience as a trial attorney began in 2006 as a prosecutor with the Tulare County District Attorney’s Office. He has served as the lead attorney in 16 jury trials (11 criminal and 5 civil). He has also served as lead counsel in bench trials, arbitrations, mediations and administrative hearings. He has examined and deposed internists, neurologists, neurosurgeons, psychiatrists, safety experts, engineers and accountants. In 2015, Mr. Smee successfully reversed a judgment of the Imperial County Superior Court in a case before the California Fourth District Court of Appeal. Mr. Smee has also achieved a reversal of a judgment of the United States District Court for the Southern District of California through an appeal to the Ninth Circuit Court of Appeals. Mr. Smee attended California Western School of Law on a full-tuition merit scholarship. He served for two years as an associate editor and writer on Law Review and received academic achievement awards (#1 in the class) in Civil Litigation I, Property II and Professional Responsibility. Mr. Smee obtained a bachelor’s degree with honors from Point Loma Nazarene University, where he played varsity baseball on scholarship and received several scholar-athlete awards.